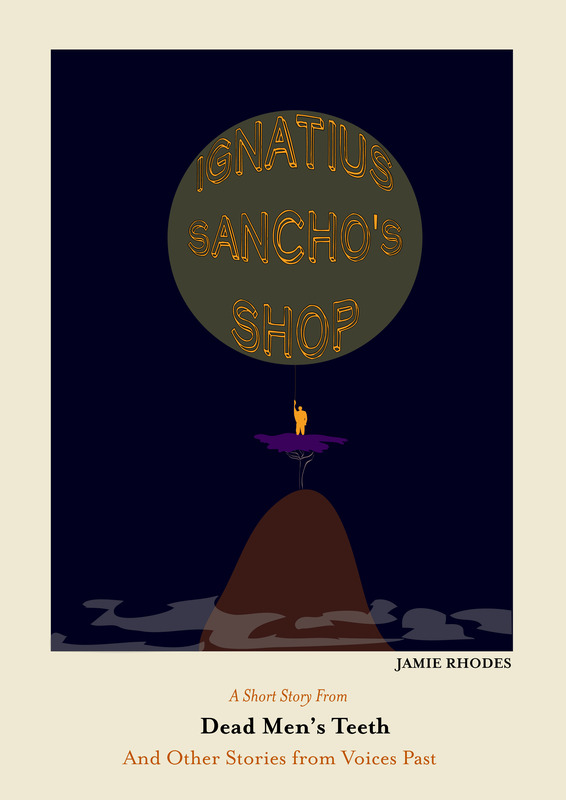 A surreal journey through the mind of an unconscious Ignatius Sancho, exploring the worries, fears and desires of the first black man in Britain to own property and vote. Inspired by Ignatius Sancho’s original letters, now housed in the British Library archive collections, and this post on the British Library’s Untold Lives blog: Black Georgians? An ‘Affrican’ in Georgian London. Ignatius Sancho was a fascinating man who led a very unusual life. He is said to have been born on an Atlantic slave ship around 1729, and brought to England from the Spanish West Indies. From the age of two he grew up as a household servant in Greenwich, though this was still with the status of a slave by English law. The Duke of Montagu took an interest in Sancho and paid for his education, and after the Duke’s death in 1749 his widow took him into her service as her butler, leaving him a small annuity which eventually enabled him to set up in business as a grocer in Mayfair, Westminster. Sancho blazed a trail for black Africans in Britain. He was the first black man to vote in a British parliamentary election, the first to publish any critique of slavery and the slave trade and the first to be accepted into London literary society. “I heard the glass shatter a mere millisecond before the pain flashed through my skull, and I felt myself falling backwards. Thoughts of Ann and our children upstairs fought to keep me upright, but did not have the strength in my gout-ridden body.